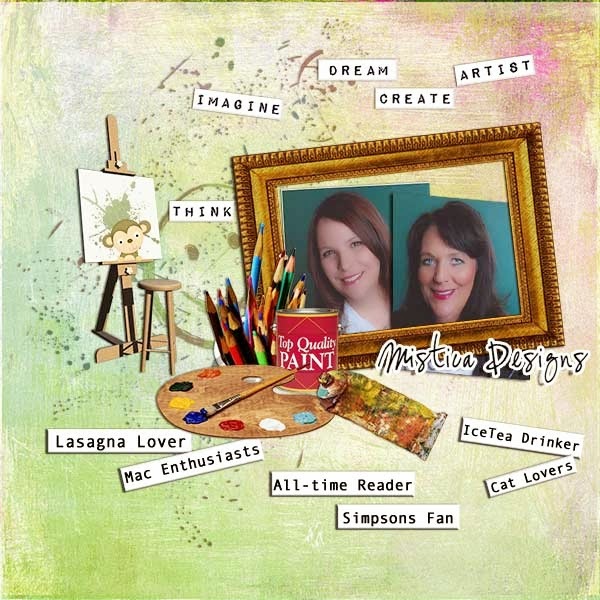 MyMemories Blog: Meet Today's Daily Designer.....Mistica Designs!!! Meet Today's Daily Designer.....Mistica Designs!!! My name is Monja but in the DigiWorld known as Mistica Designs, a name a friend found for me and I used now since 2006. As long as I can think I love everything which has to do with arts and crafts. As a little child already I spend my days sitting in my grandma’s kitchen doing some crafting and listening to audio stories. Later I studied arts and photography at the University of Dortmund and stumbled over digital scrapbooking. That was in 2003 and I’ve been hooked ever since. In 2006 I finally started designing and in 2010 my Mum joined my business (yes, that’s her on the photo). We love to work together every day and so we do since three years.